When I was growing up, I lived in a house that had a view of the ocean from pretty much the entire top floor. If I opened the windows in my bedroom at night, I could fall asleep to the sound of the ocean waves and the smell of salt in the air. It was a five minute walk from my house to the beach, and you better believe I took full advantage of that fact! From the ground up to the veranda, a honey suckle vine grew prolifically, which smelled amazing, and was a constant source of fun - I ripped many a flower apart to get at that delicious nectar. I do miss that house so. When Circa Home gifted me a honeyflower and sandalwood candle to try, my mind immediately took me back to that house where I grew up, even though I haven't been anywhere near it for so long. Then I realised that honeyflower and honey suckle are completely different flowers, but it was too late and I was too far along a walk down memory lane to want to turn back! I like to take what I call 'mental photographs' of meaningful experiences in my life, taking a few minutes to freeze the scene in my mind. To really experience the taste, the smells, the sights and sounds, the way I feel and what's going on around me. iPhone pictures and videos are great, but what makes a memory for me are the textures of the day - I take a few seconds to grab them and hold them close so I can recall each moment later in high clarity. I can still look back and remember those times in great detail, how I felt, what I was doing and the thing that made that moment great. It only takes hearing a song again, or smelling a familiar scent, and I can be cast back into many a great memory. Just the smell of my babies when they come in to snuggle with me in the mornings evokes many a fond memory too. The Circa Home honeyflower and sandalwood candle smells amazing, and I'm grateful that it took me to a place where I have such happy memories. There is something infinitely calming about glowing candlelight and being surrounded by a lovely scent. It helps me unwind and relax, another thing for which I am grateful. 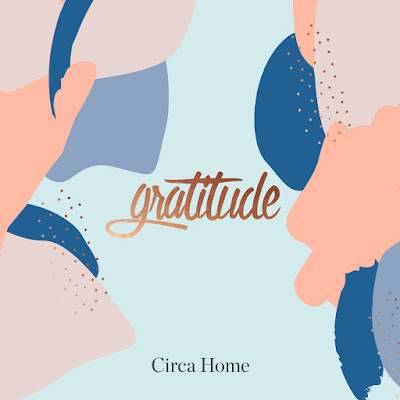 You can win a Mother's Day Gratitude Gift pack from Circa Home which includes the lovely honeyflower and sandalwood candle among other great items. 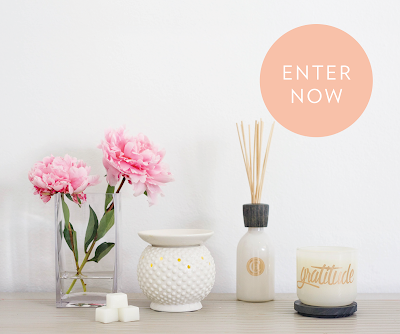 I encourage you to enter; I'd love for one of my readers to win this fabulous prize! Do you have a special scent that takes you back to happy memories? Pandan. From deserts to fragrant pandan rice. Just reminds me of grandma's house. What a lovely post and thanks for taking us down memory lane with you - your childhood memories are delightful. The candle sounds beautiful too!